Paris (AFP) - While the United States, Canada, Brazil, Argentina and China and many other countries have warmly embraced genetically modified crops, Europe remains the world's big holdout. Could this be about to change? New European Union rules now seek to clear up years of internal deadlock that could, in theory, lead to widespread cultivation of GM foods. But the fight is far from over. The EU's great GM debate pits two powerful forces against each other: green campaigners concerned about the effect of the crops on health and the environment, and the agri-business lobby, which argues that Europe, by resisting a technology that boosts yields and rural incomes, is losing its place at the forefront of agricultural innovation. Only five EU countries grow GM crops at all -- Spain, Portugal, the Czech Republic, Romania and Slovakia -– and in such tiny quantities that they accounted for less than 0.1 percent of global GM cultivation last year, according to the International Service for the Acquisition of Agri-biotech Applications, which monitors the industry. Europe's fragmented politics, diverse landscapes and smaller scale farming traditions have made it less compatible with the mass-farming techniques in the Americas and China. Only one type of modified crop – a herbicide-resistant maize – is approved for cultivation in the EU, compared to 96 commercial licences granted in the United States since 1990, although Europe does import more than 30 million tonnes of GM grain for animal feed each year. "Europe has perversely condemned itself to importing crops which its farmers could grow locally and banished thousands of bright scientists to other shores for reasons that are scientifically bogus," claims Brandon Mitchener, a Brussels spokesman for Monsanto, one of the US agribusinesses leading the push for GM crops. Hoping to find a way out of the deadlock, EU environment ministers last month approved new rules that would permit individual countries to make their own decisions on GM -- allowing them to use "ethical" or "public order" rationales to ban crops even when scientific advisors have ruled that these strains are safe. The compromise was the result of a fraught battle, says Frederic Vincent, health spokesman for the European Commission: "Everyone was blocking the agreement for different reasons. The UK said not enough was left to science, France said too much was left to science, Germany was a mix of both thanks to its complex coalition." Genetic modification technology was not always so controversial in Europe. Even France, now one of its staunchest opponents, grew GM maize well into the 2000s until green protesters pressured the government into a ban. But Mitchener says the seeds of Europe's aversion to GM were sown in the 1990s, thanks to two factors in particular: the strength of the Green party in Germany at the crucial moment when the technology was first emerging, and then the scare over mad cow disease in Britain. "Mad cow disease caused a loss of public confidence in science. You had the British government saying beef was safe, while the EU said the opposite," he says. Unlike the US Food and Drug Administration (FDA), which commands widespread respect in the United States, equivalent bodies in Europe are often treated as pawns of industry or simply ignored, Mitchener adds. "The tragedy of biotech in Europe is that no one listens to EFSA," he says, referring to the European Food Safety Authority, a scientific body set up partly in reaction to the mad cow disease confusion. It has consistently stated there is no risk from GM crops. 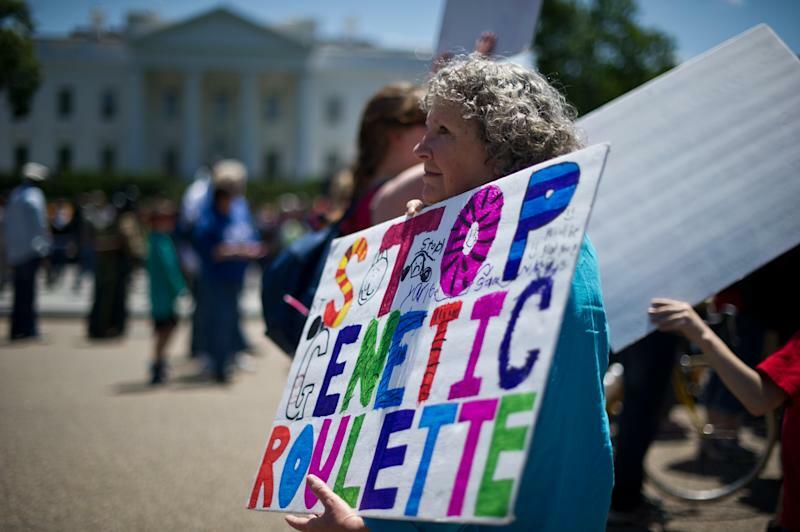 Pro-GM scientists argue GM is not inherently more dangerous to either the environment or human health than any other method of crop mutation -- whether through selective breeding or naturally through evolution. Or, for that matter, by blasting seeds with radiation, as humans have been doing for decades through the process of "mutagenesis", hoping to create mutant seeds with useful properties. More than 2,500 crops have been created in this way, including a premium barley used in Scotch whisky and disease-resistant cocoa in Guinean chocolate. "In fact, GM is actually safer than most forms of breeding because we know exactly which properties are being implanted -- it’s much less random," argues Huw Jones, a GM scientist at Rothamsted Research in the UK. But Greenpeace, one of the most vocal opponents, dismisses the idea of a scientific consensus on GM safety as "a myth". It argues that continued gaps in knowledge about gene manipulation should raise alarm bells, especially as the technology moves beyond single-gene transfers and into more complex experiments. It also portrays GM technology as a symbol of all that is wrong with modern mass-farming techniques. "GM crops are presented as a solution, but they are part of the problem. They are a product of a wider agricultural system that is destroying our environment. They lead to more uniformity and even greater economies of scale, when what we need is greater diversity," says Marco Contiero, EU agricultural policy director for Greenpeace. That ties in with familiar concerns about the way GM crops are commercialised. It costs the big agrochemical firms such as Monsanto or Bayer around $200 million (140 million euros) to develop the simplest GM seed, Greenpeace says, and that gets recouped through aggressive marketing and monopoly ownership of seeds that have made Monsanto in particular the bête noire of the green movement. All this means that the newly minted EU deal -- due to go before the European Parliament and Council by the end of the year -- still faces major obstacles. Environmentalists such as Jose Bove, a French Green MEP who went on hunger strike in 2008 to force France's first GM ban, complain the agreement will give gives biotech firm a direct role in lobbying governments, threatens single market principles and does nothing to protect cross-border contamination from GM seeds planted in neighbouring countries. With the EU still poring over the results of May Euro-elections, it is unclear how the looming political battle will pan out. 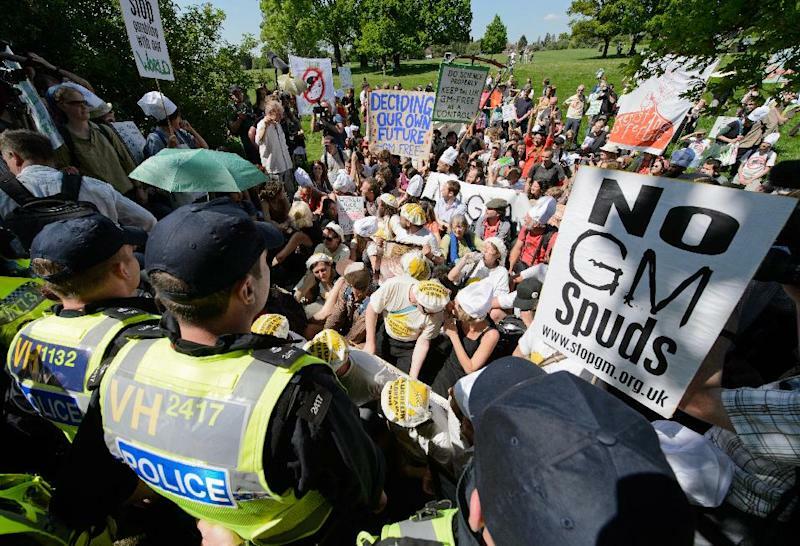 Even if the GM directive passes, will national governments court the ire of environmental campaigners by permitting large-scale GM cultivation? "We're creating organisms that haven't been created in the whole of history," says Contiero. "We are not opposed to GM in principle, but this technology is only 20 years old. For that reason, we need to be absolutely cautious."